Students and academics from the University of Plymouth will be helping to uncover hidden artefacts from the First World War as part of a national initiative. The University’s School of Humanities and Performing Arts is hosting a Digital Collection Day as part of the Commonwealth War Graves Foundation’s Lest we Forget project. Taking place on Wednesday 6 March in the Roland Levinsky Building, members of the public are being encouraged to bring in artefacts including letters, medals and other memorabilia to be digitised as part of a campaign to preserve memories of the conflict. 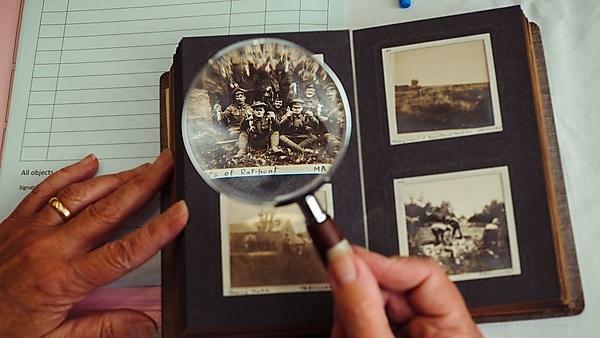 Lest We Forget: Keep Their Stories Alive is an ambitious project, run in partnership between the Commonwealth War Graves Foundation and the University of Oxford to create a national digital archive. People coming to the Plymouth event will be met by a team of experts – including Associate Professor in History Dr Harry Bennett – and trained student volunteers from the BA (Hons) History and BA (Hons) English programmes at the University. They will get the chance to learn more about their artefacts and each item will be accurately recorded into the archive, to digitise the items and record the stories connected with them. Previous Lest We Forget events held around the country have seen members of the public bringing in rare objects, such as an original First World War grave marker. Learn more about the Digital Collection Day and find out more about the Lest we Forget project at https://www.cwgc.org/lest-we-forget.